A very special event, Les Printemps de Chateauneuf-du-Pape, is coming up on April 10th & 11th in France. This event is being organized by the young winemakers in the Chateauneuf-du-Pape region. The event will showcase wines from 60 wine makers in Chateauneuf-du-Pape. 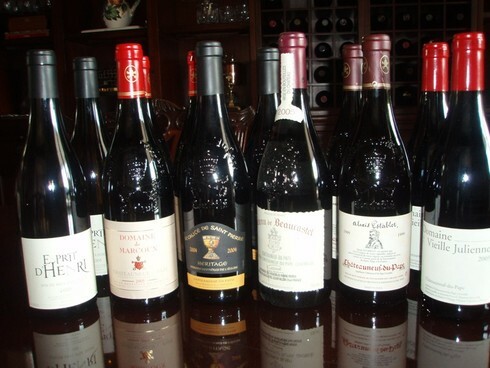 One of the biggest attractions is that there will be a chance to taste old vintage Chateauneuf-du-Pape wines. In fact, there will be stations set up that focus on old vintage wines, on terroir, on the different grape varietals in Chateauneuf-du-Pape, and on food and wine pairings. Sixty bottles of Chateauneuf-du-Pape wine will be given away in a lottery fashion to ticket-holders. I will be organizing a trip for a small group to attend so contact me right away if you have an interest in going with us.